The Kiwis decimated South Africa in the first Semi-final of the ICC Cricket World Cup, denying their entry to reach the finals. South African fans at home - "We are proud of our team and its okay they lost but they were real fighters and reaching the semi-finals of a prestigious tournament itself is an achievement. Indian fans at home - "South Africa deserved to win and they are true champions. We respect the way they played and admired each of their matches. Thanks for the wonderful matches, AB Devilliers, Morkel, Steyn and the entire South African team. We would have loved to see them play India in the finals"
Two days later, India was humbled by the Australian team in the 2nd Semi-final of the ICC Cricket world cup. It was a humiliating defeat. Same Indian fans at home broke star batsman Virat Goli's restaurant. A group of unidentified men tossed stones at the Captain Dony's house at Ranchi. Some of them burnt Spin bowlers Aswan's car at Chennai. The Indian government has provided Z level security to the homebound Cricketers. 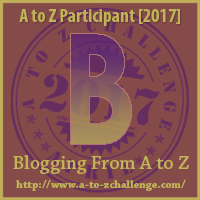 My April A to Z Challenge 2017 post will be written on a common theme - Hypocrisy of Indians. Yes...there are hypocrites everywhere. It's like a birth right to these people to do such outrageous activities. This is kind of intolerance that's persists in human nature as always. hahaha LOL. you never know what Indian cricket fans can do in real. And bengali fans will shout Dongol hoga! Too many such people. Extremist fans, I say.